A custom black antiqued name cross pendant crafted in .925 sterling and personalized with your name or the name of someone close to your heart embossed on the front of the cross. The cross is also available in 14k white or yellow gold (shown below). You can also add a sterling silver box chain necklace (optional) or purchase the custom cross name pendant by itself to wear with one of your own chain necklaces. 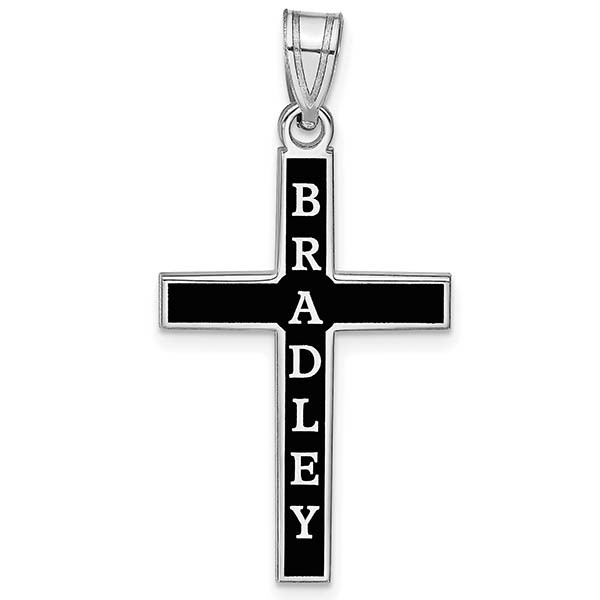 We guarantee our Custom Antiqued Name Cross Pendant in Sterling Silver to be high quality, authentic jewelry, as described above.